The wonderful card made by Shannon (also from my north class). 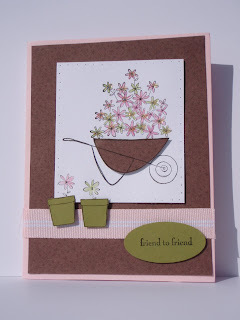 This card we will be making at our next SU class. It may be a tiny bit different depending on my supplies. Shannon will be receiving a basket full on SU supplies!! Thanks to everyone who participated. It was fun to see every ones ideas. Kyla and Joan will also be receiving some free SU stuff. Yeah!! Congrats to Shannon! 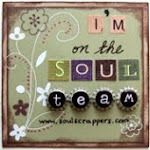 (And Kyla too:) karen, I am very excited to see this blog!...can't wait to see all the great stuff you are doing.